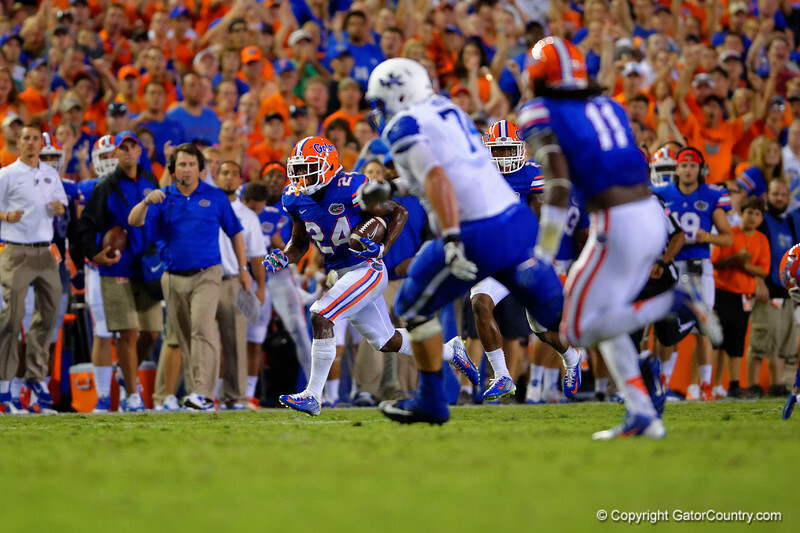 Florida Gators defensive back Brian Poole makes the interception and sprints towards the endzone. Florida Gators vs Kentucky Wildcats. September 13th, 2014. Gator Country photo by David Bowie.